Rustic flooring is all about texture, and there are a lot of options! Hand scraped, distressed, wire brushed finishes all provide the look and feel of a wood floor that has been gently weathered through time. The complexity in the exposed layers of wood lends warmth, depth, and character to any room. 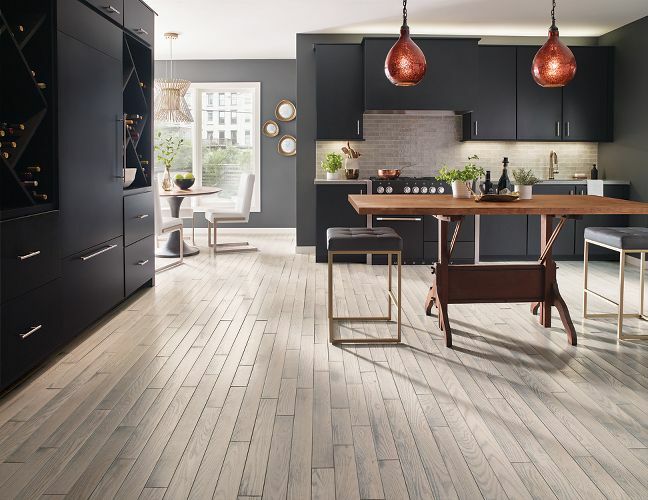 The degree of texture in rustic flooring ranges from subtle to dramatic, so there are all kinds of options to match your style and vision for your living space. The unique feature of rustic hardwood flooring is obviously the texture, but what this texture does is that it also creates layers of gorgeous, earthy, shades of colours. This spectacular multi-tone colour palette plays with light and dances with its surroundings, picking up the tones and colours in furnishings and walls, virtually creating a unique piece of artwork all by itself. (OK, this description is a bit over the top, but it is true!) There is also a range of colours to choose from, mostly in the natural tones of browns and greys. You can also choose flooring that are mostly monotone or those with multi-colour and dramatic variance. You may be under the impression that rustic wood flooring is only for living spaces where one is going for the country look. This is ABSOLUTELY not true! The contrasting effect of a rustic floor paired with an elegantly designed and furnished room can be visually stunning! Different effects created with varying plank widths and lengths can also be used to created different looks. So much choice… anything goes with this type of flooring. 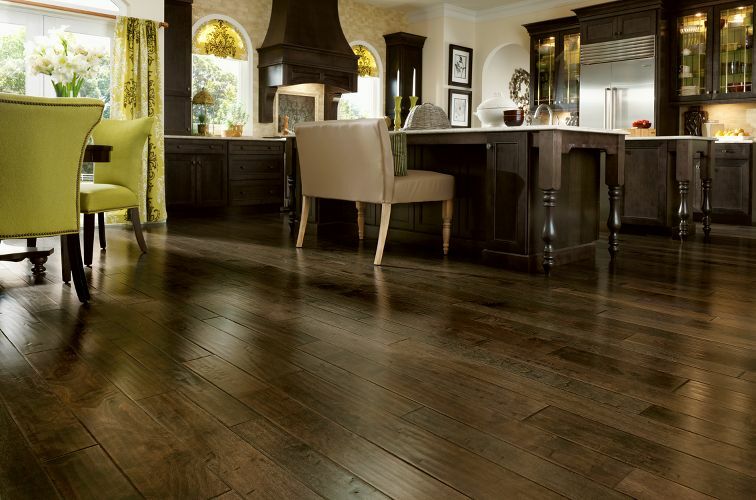 Texture and layers of colour make rustic flooring more forgiving than traditional hardwood. Scrapes, scratches, and dents that are inevitable over time, are much less noticeable with these floors. If your lucky, they might almost even blend in! And another HUGE bonus is that they don’t show dirt as easily as traditional hardwood flooring either. If you like the look of rustic floors but don’t have the budget, you are in luck! 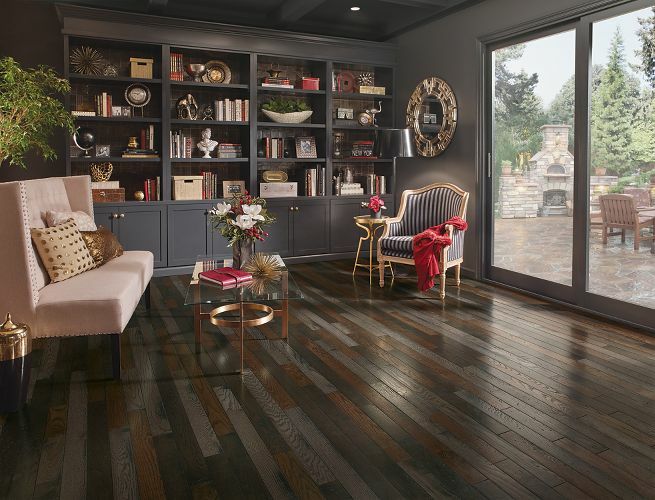 Laminate plank and vinyl plank flooring have managed to mimic the look of rustic floors, so definitely check out this option if you like this look! As with all types of flooring, quality matters! So do your homework and make sure you choose a reputable brand with a good warranty. Be wary of retailers selling flooring at too good to be true prices, there is usually a reason behind these deals. 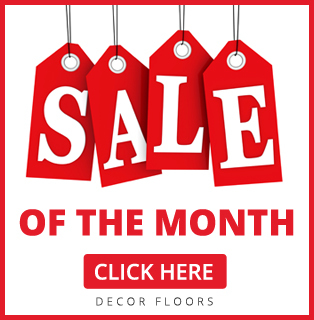 Décor Floors is dedicated to selling only quality name brand products and we care about making sure our customers are happy and satisfied! Our expert staff can help you with any questions anytime! Contact us today or visit us at our store location in Toronto, Mississauga, and Bramptom!